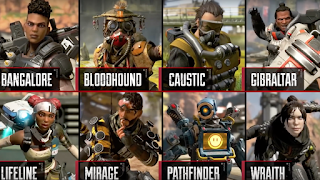 Apex Legends dropped this week pretty much out of nowhere, with an explanation from the developer at Respawn Entertainment that they had a serious hurdle to overcome: EA, the publisher/owner of Respawn, has a reputation in the toilet; the Apex Legends game is not Titanfall 3 (but it is set in the same universe); and it's yet another battle royale game....of a sorts. 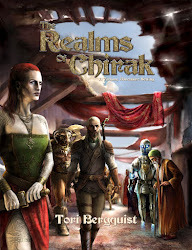 The good news its a free to play game, so you can download it and draw your own assumptions. Their revenue model is basically loot crates, with cosmetic options. I'd question this sort of model in an FPS where the player never sees their own character but apparently people are willing to spend money on this stuff; Call of Duty and Overwatch prove that not seeing your own avatar doesn't dissuade you from dolling up. 1. It's a very solid shooter. If you've played prior Titanfall games this delivers that sort of experience, but without the Titanfall signature items (pilots with wall walking and giant mechs). 2. It offers only a single mode: 3 man teams, ten of them against each other. This is great if you happen to be one of those rare internet sasquatches who can assemble a three man team out of the ether and not rely on random people. More on that in a minute. 3. The game leverages layers on death. You can get knocked down, but its harder to die. When you die, an ally can grab a respawn token and take it to a vendor to bring you back. 4. The whole game is built around large maps encouraging careful, thoughtful movement. Until the storm converges, then you better book it and get shot! So, like most all battle royale experiences in that regard. 5. The game is closest etymologically to the Call of Duty feel but with Overwatch team up elements. --My son has played it for hours. He loves it. He wanted me to give him the headphones so he could communicate with the occasional other players with headphones. I was like, "are they kids?" The answer was no, so no headphones. Sorry, adult gamers, I know you too well to trust you for two seconds. The kids in Fortnite are on average much more well behaved. --Despite the fact that we meet the golden criteria: my wife, son and myself could all log in and form a team, I think it may not happen that often. We already do that in Fortnite, and while we might find some time to do it in Apex Legends, I'm not sure I am willing to deal with yet another game with RMT to get skins and nonsense. Sorry Respawn, Epic already took our money! --Personally I loved the play style but I am just a terrible team player. I like solo mode, and I like team modes that don't discourage me from doing my own thing. Apex Legends, I immediately noticed, works best when you work closely as a team, and the experience was interesting but exhausting. Obviously YMMV on this but for a "strategically solo" player like myself, the lack of other modes means I have to be in exactly the right mood to play this game....and I am almost never in that mood, to be honest. Either way, if it sounds like something you might like download it and try it out. The gameplay is rock solid, so you won't be disappointed there. 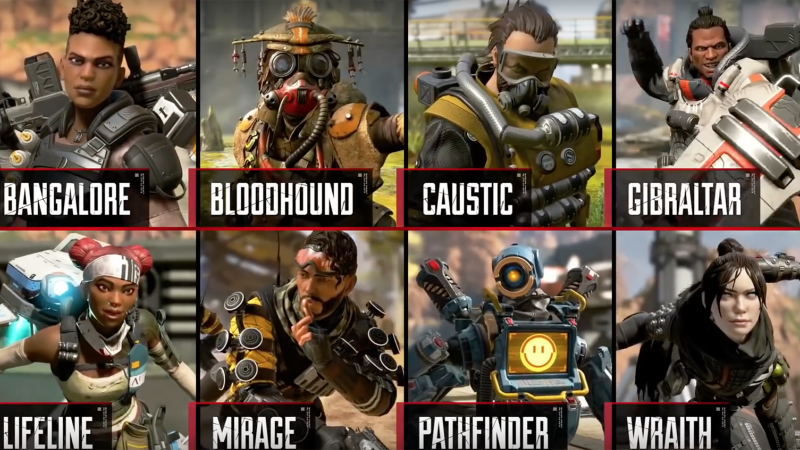 The real question is whether Apex Legends will appeal to a broader audience over time, and I feel it's a game tightly designed for a niche within a niche, the subset of battle royale fans (or Overwatch fans) looking for a specific kind of experience and burned out on other games. I don't think I'm that person. Indeed, I am getting the same sort of "wow, I wish this game was designed for me" feel that I get with Overwatch. Does it mean it's bad? No, but it does mean I am definitely not this game's target audience.